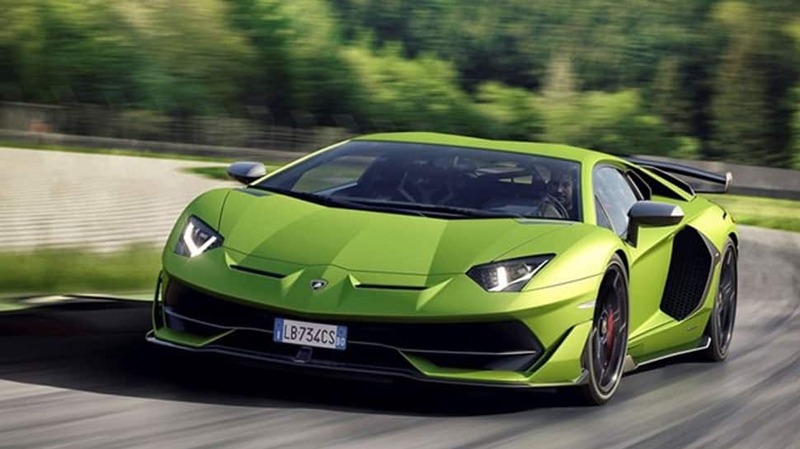 Italian super sports luxury carmaker Lamborghini has globally unveiled the Lamborghini Aventador SVJ. The super sports car was unvelied at a worldwide premiere at Monterey Car Week in California. 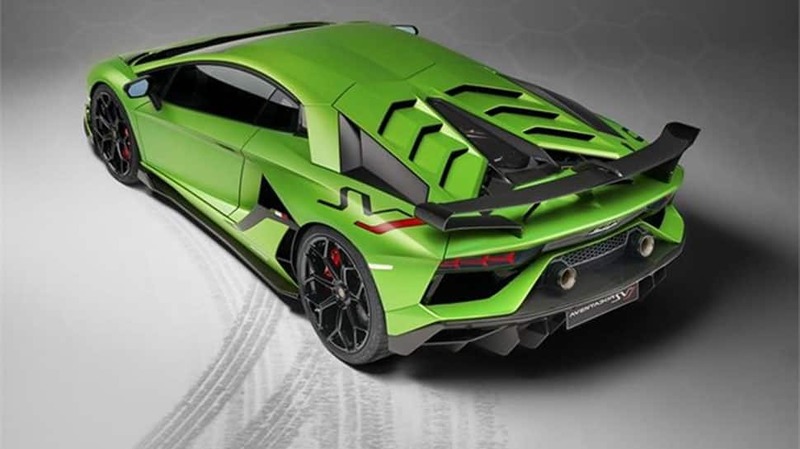 The Aventador SVJ comes with anew front bumper with integrated side fins. The rear wing of the SVJ has been designed for aerodynamic efficiency, working on new air foil, an optimized ALA 2.0 system, and side winglets to reduce turbulence while providing high downforce on the straight as well as in high speed corners. The SVJ's new rear engine cover has been made from lightweight carbon fiber. The SVJ’s suspension has been reworked, providing higher mechanical and aerodynamic grip. 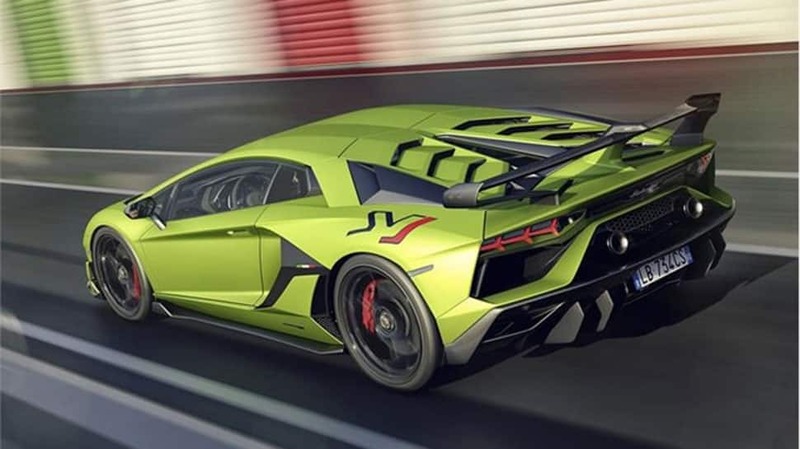 The Lamborghini Aventador SVJ features an increase in power to 770 hp (566 kW) at maximum 8,500 rpm. The SVJ outputs 720 Nm of torque at 6,750 rpm, while a dry weight of just 1,525 kg gives the SVJ a weight-to-power ratio of 1.98 kg/hp. The SVJ accelerates from standing to 100 km/h in 2.8 seconds and from 0 to 200 km/h in 8.6 seconds. A top speed of more than 350 km/h is complemented by a braking distance of 100 km/h to 0 in 30 meters.The Navigation System and Infotainment System including AppleCarPlay come as an option free of charge. Lamborghini SVJ Studio Green interior. Lamborghini SVJ Studio Green 3-4 back. Lamborghini SVJ Green Pit rear. 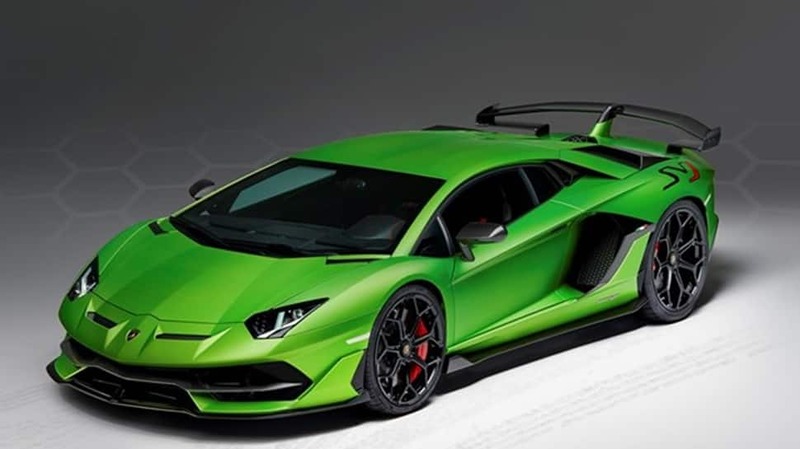 Lamborghini SVJ Studio Green 3-4 front.